We narrowly missed out on the prize but will come back stronger next year and will hopefully bring home the silverware in 2020. 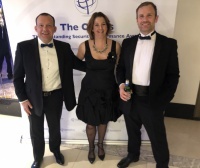 A great evening was had by all, and we were joined by some of the leaders within the security world. A great effort by all of the Astra team.